Atoms are often arranged in relatively simple repeated patterns to form crystals and in arrangements which can be very complex to form large molecules. Atoms were regarded as the smallest fundamental particles up to the end of the 19th century. It is important to note that all of the diagrams on a molecular and atomic scale are representations and not “pictures”. 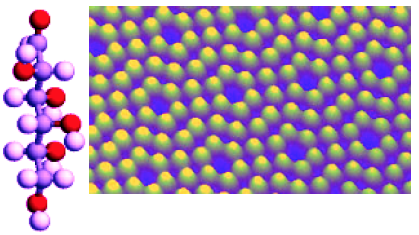 It is not possible to see images of particles so small. Although this conveys some idea of structure it is a bit misleading. We have no idea what an atom looks like, indeed the very idea is impossible. Light waves with which we see are many times bigger than any atom so there is no chance of us "seeing them". The nucleus is tiny within the cloud of electrons, rather like a tennis ball in the middle of a football stadium and electrons in particular cannot be regarded as particles. The video below briefly explains how our ideas on the structure of the atom have changed over the last two centuries. Protons are positively charged particles in the nucleus of the atom. When we write down the symbols for an element, like this. The number six is the proton number. The proton number or atomic number is the number of protons in the nucleus. This number absolutely defines the chemical properties of the atom; it defines the element. The number of electrons in an electrically balanced atom is exactly equal to the number of protons. The nucleon number or atomic mass gives the total number of protons and neutrons in the nucleus. 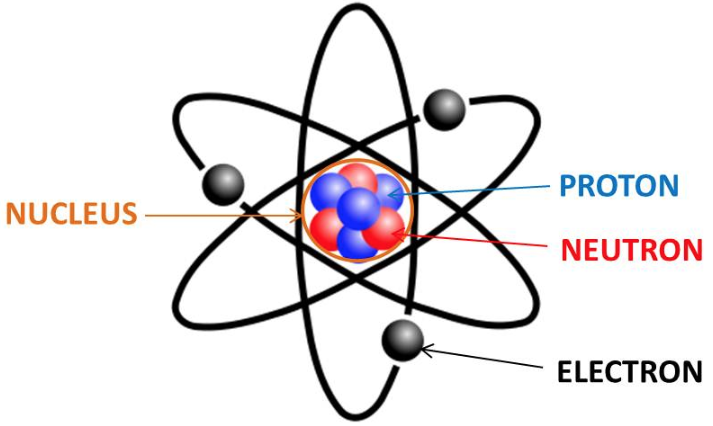 Elements are defined by the number of protons they have in the nucleus. For example hydrogen has 1, carbon has 6, iron has 26 and lead has 82. Hydrogen is the most simple element but it has three naturally occurring isotopes one with no neutrons, one with one and one with two neutrons. For some strange reason these are some of the few isotopes given individual names. If the element is carbon then it always has 6 protons and 6 electrons in an atom but the number of neutrons can be different. These are simply called carbon 12, carbon 13 and carbon 14. So isotopes of an element all have the same number of protons and electrons and the same chemical properties BUT they have a different number of neutrons in the nucleus. The only way they might differer is in their density and the stability of the atom. Some may be radioactive. The video lesson below explains the structure of the atom in a little more detail.